Saint Andrews Community -- Southampton. Located Just A Half Mile From Southampton Village, This Totally Renovated Two-Bedroom, Two-Bath, One-Story Light-Filled End-Unit Is The Perfect Turnkey Residence. 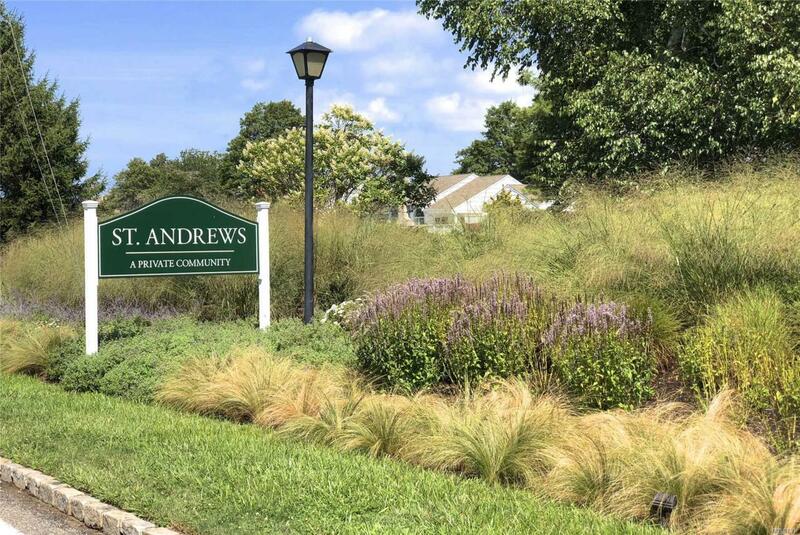 The Saint Andrews Community Boasts 74+ Beautiful Treed Landscaped Acres Providing Park-Like Settings To 74 Private Residences. Amenities Include A Solar-Heated Community Pool And Two All-Weather Tennis Courts.